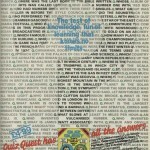 Quiz Quest – "The computer game with all the right questions – Can you supply the right answers?" is the banner within the advert campaign of this other lost game, this time another Alligata Software title. 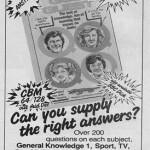 The game was a simple quiz game with over 200 questions on general subjects – there was an additional tape available with an extra 2,000 questions. Initially released on Amstrad and Spectrum, the C64 conversion was due in December of 1985, slightly later. It got mixed reception on the two platforms, so the C64 version would likely have got similiar results. For £4.99, you couldn’t really go too wrong, but was there enough? For reasons unknown, the C64 version never surfaced and we hope to find out from one of our sources about what exactly happened to it. Seems a shame that this never got a release, and its not like it was a complex title to convert. What issues did this one face?